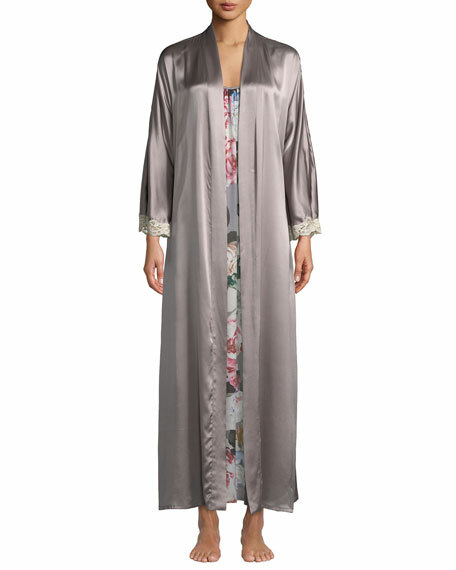 La Perla silk wrap robe. For in-store inquiries, use sku #247723. 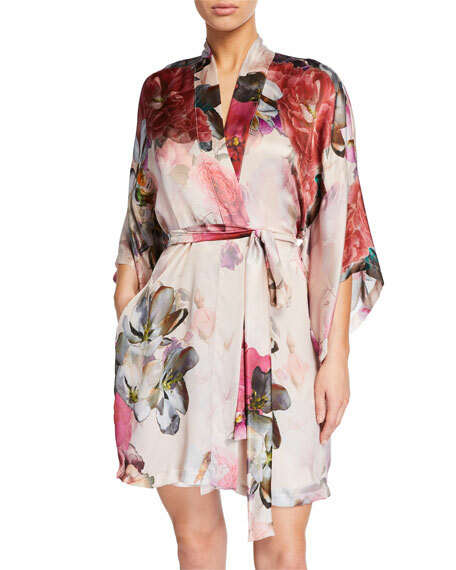 Christine Lingerie "Faberge" short robe in floral velvet. Shawl collar; open front. Three-quarter sleeves. Self-tie tasseled belt at waist. Side seam pockets. Straight hem. Rayon/silk. Made in Canada. Christine Lingerie "Flutter" short robe in charmeuse with lace trim. Shawl collar; open front. Three-quarter sleeves. Self-tie sash at waist. Straight hem. Silk/spandex. Nylon/rayon/spandex trim. Made in Canada.